Google employees discussed how to tweak search-related functions to combat the Trump administration's controversial travel ban, according to internal company emails. The leaked emails, obtained Thursday by both Fox News host Tucker Carlson and the Wall Street Journal, date back to January 2017, days after President Donald Trump signed an executive order that restricted travel from several majority-Muslim Middle Eastern and African countries deemed a security risk. Google employees discussed ways to alter search results to favor anti-travel ban organizations, like the ACLU, and get information to immigrants, while disfavoring results considered prejudicial. One employee in the Search Product Marketing division wrote that their department had a "large brainstorm" on how to respond to the travel ban. "Overall idea: Leverage search to highlight important organizations to donate to, current news, etc. to keep people abreast of how they can help as well as the resources available for immigrations [sic] or people traveling," the marketing employee wrote. "I know this would require a full on sprint to make happen, but I think this is the sort of super timely and imperative information that we need as we know that this country and Google, would not exist without immigration," another employee wrote. 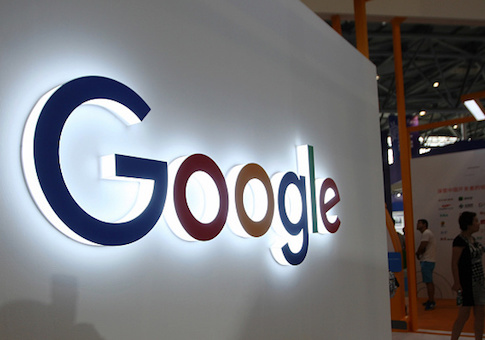 Others suggested Google should "actively counter Islamophobic, algorithmically biased results from search terms ‘Islam,' ‘Muslim,' ‘Iran,' etc." and "actively counter prejudiced, algorithmically biased search results from search terms ‘Mexico,' ‘Hispanic,' ‘Latino,' etc." Some of the emails showed, however, that others in Google were more cautious. One public-affairs executive pointed out that it would be a breach of precedent to appear "partisan" or to favor "organizations that support a certain view of the world in a time of political conflict… If so, would we be willing to open access to highlights to [organizations] that…actually support the ban?" "This is a highly political issue, so we need to remain fair and balanced and present facts," another Google employee wrote. In a statement, Google said that its employees never followed through and enacted the changes suggested in the emails. "Google has never manipulated its search results or modified any of its products to promote a particular political ideology," the company told the Journal. "Not in the current campaign season, not during the 2016 election, and not in the aftermath of President Trump's executive order on immigration." This entry was posted in Issues and tagged Donald Trump, Google. Bookmark the permalink.